On October 10th that took place in the 80, Goodfellow Street in Delson, the official ground shovelful for the project of the SPCA Roussillon. 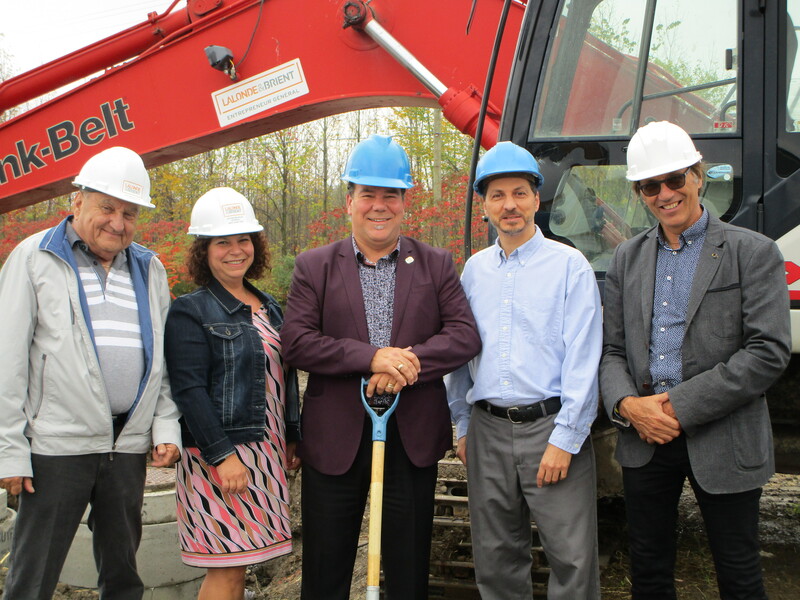 Were present on site, from left to right, Mr. Gilbert Lalonde, Ms. Nathalie Brient, Mr. Christian Ouellette, Delson Mayor, Mr. Pierre Bourbonnais, Director of the Refuge AMR and Mr. Louis Houle, the project architect. This project of 5 500 ft2 on the ground will accommodate pets homeless, treat them and offer them for adoption to the general public. The occupation of the project is scheduled for February 2018.